MVF critiqued the National Policy on Education, 1986 that announced the continuance of non-formal education (NFE) for working boys and girls as a major thrust area ‘recognising the need for giving access to elementary education to those sections of the population who cannot be enrolled into local schools’. MVF felt that this was in gross violation of child rights as it denied children thrir right to education in a full time formal day school even as it condoned children being out of schools and in work. MVF took up a mass campaign against the NFE system and started advocacy campaign throughout the state of Andhra Pradesh, involving even some government teachers. By the year 1997 it trained nearly 17,000 volunteers against the practice of NFE in the entire state. MV Foundation has identified that older children find it difficult to adapt to the formal full-time school setting. In order to make the transition from child labourer to student smooth, the organization has pioneerd the establishment of Residential Bridge Course Camps (RBC). At RBC Camps, as they’re popularly known, children are taught to read and write. They are prepared for a formal school setting. Upon graduation from these camps, they are enrolled in a class appropriate for their age. RBC Camps have been replicated across the country by the Sarva Shiksha Abhiyan (SSA), Government of India as well as by various NGOs. Preparing older children who are out of schools for an age appropriate class through the formal schools is now provided for by the RTE Act under section 4. MVF’s key competence is community mobilization, and by working around the non-negotiable ‘all children in school’ had released tremendous positive energy and team work towards this common good in many communities otherwise characterized by conflicting debates. It has achieved this by motivating and training thousands of local youth, who have demonstrated tremendous courage, commitment, skill and professionalism by facilitating a complex process of societal change consistently across diverse geographies. This means that the task of replication nationally is within reach. Thus MV Foundation has made its presence felt in several states of India – Andhra Pradesh, Bihar, Madhya Pradesh, Maharashtra, Tamil Nadu, Chattisgarh, West Bengal, Gujarat and Assam. This has been either through direct implementing of the program or by providing technical support to the respective State governments or NGO. Indeed MVF has shown that its basic charter and understanding of poor parents and their explosive demand for education were implementable and relevant in countries in Africa and Central America. 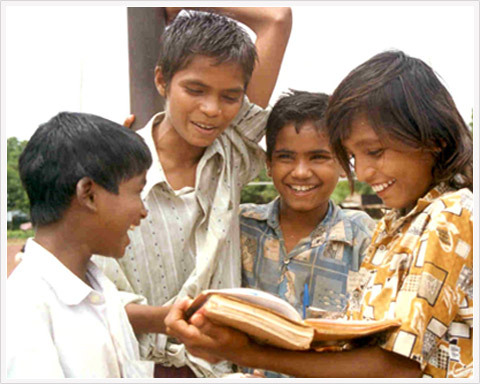 MVF influenced government policies at the state and national level and has provided major input to the ‘Right of Children to Free and Compulsory Education 2009 (RTE Act)’ especially on provisions regarding first generation learners and marginalized children. Initially the schools had no policy to accommodate late starters and in accepting older- illiterate children or school drop outs who wished to rejoin schools. Thus, children were essentially left with no choice but to join the labour force instead of aspiring for formal education. Through MVF’s advocacy the State government has started bridge courses and made it possible for older children join schools in age appropriate classes. This is now part of the Section 4 of the RTE Act. There have been several instances of older children wanting to join schools after being motivated through campaigns on Right to Education. Further, there has been occasions when children returned home after migration wanting to join schools. Such children were denied admission into schools because the last date for admission was over. They were asked to seek admission in the next academic session. This resulted in several children being demotivated and joining the labour force. MVF influenced the Government of Andhra Pradesh to keep the school admissions open all through the academic session, thus facilitating school dropouts, rescued child laborers join schools. This is also now incorporated under section 15 of the RTE Act. Many a child could not seek admission due to want of documentation such as birth certificates, transfer certificates, medical certificates for being absent due to illness and other certificates. Procedures were relaxed and no child was to be denied admission for want of documentation. This too became part of the RTE Act under section 14. MVF found that in many schools children are being detained in the same class each year without any valid reasons. Several children felt de-motivated and eventually dropped out of schools. This had resulted in both wastage and stagnation of children in schools. 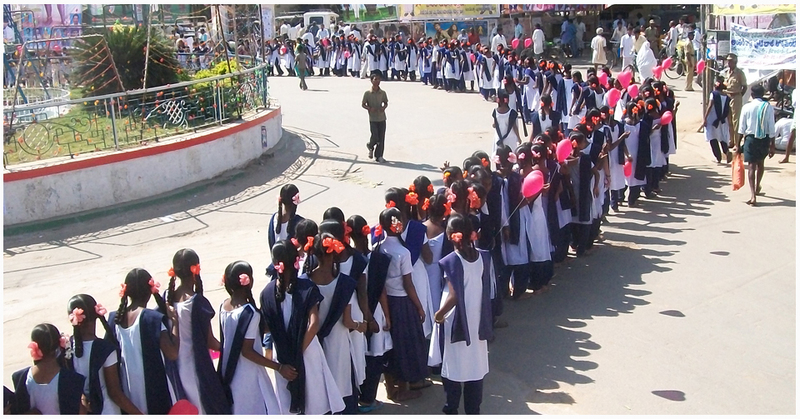 Due to MVF’s demonstration to the government on how detention of children in schools resulted in children being discouraged to continue in schools, it was ordered that as a general rule all children would be promoted to the next class and that no child will be detained in the same class merely on the grounds that he/she has not achieved the appropriate standard. The Headmaster of the concerned school will be held responsible for any wrong detention of a child in the same class. Section 16 of the RTE Act has endorsed this non-detention policy. The predicament of girls in contemporary india remains precarious especially among the poor and marginalized communities. They are victims of patriarchy and gender discrimination, poverty and illiteracy. 56% of them are anemic and 47% are under nourished. 52.1% of girls are married even before they are 18 years of age and are subject to abuse and laws of esteem. Once out of school they are denied the choices and opportunities that come with education. Instead, they are part of the work force in the informal sector mostly on non wage family work. MVF addressed the issue of all non school going children as child labour. With such an inclusive definition girls were automatically reached out to and a movement against child marriage was taken up. The Residential Bridge Course camps were seen as safe places for children to seek shelter as well as pursue education. 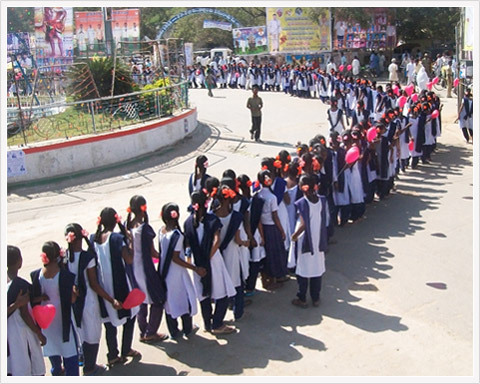 Thus, several thousands of girl children exercised agency in defiance of early marriage. 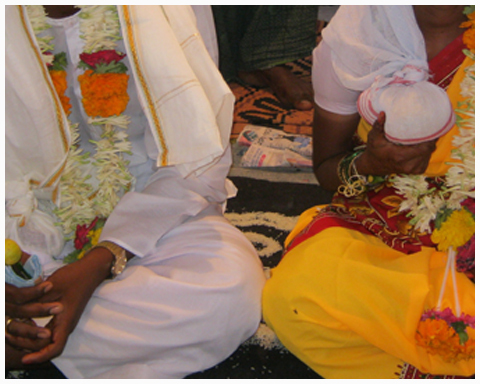 It is estimated that 20,000 child marriages have been stopped so far and several more prevented. MVF has data on 4679 marriages that have been stopped. Most people believe that child labour is “inevitable” in developing countries like India as families are so poor that children have to work to keep the family going. Among many other reasons child labour continues to persist because children are a source of cheap labour and can be compelled to work for long hours. It is much more in the interest of the employer that child labour exists and not because families need their income. Child labour also exits because public schools have not been sensitised to respond to the first generation learner and the poor children. 1 million children have been withdrawn from work and mainstreamed into formal schools. 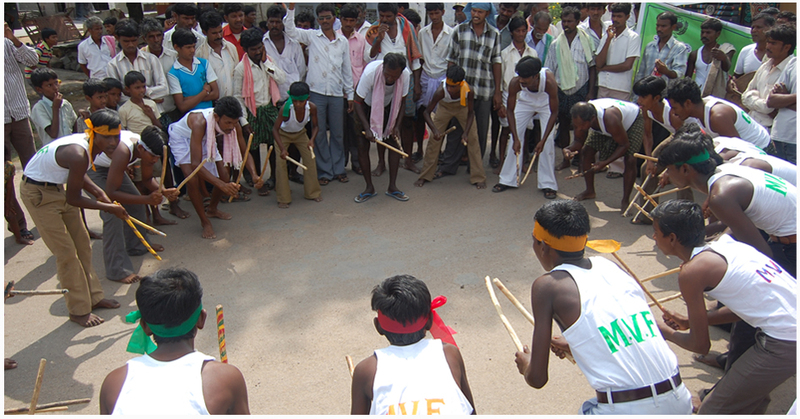 30% of children who went through MV Foundation’s residential bridge course have graduated beyond class 10. They are employed variously as school teachers, nurses, doctors, security staff, police and army, caterers, data entry operators in software industry, farmers, drivers, care givers, local officials, correspondents in electronic and print media and as entrepreneurs. Some of them are also local politicians and leaders. MVF trusts. MVF has also strengthened the capacities of Gram Panchayats (local bodies) to monitor and track children and their rights.